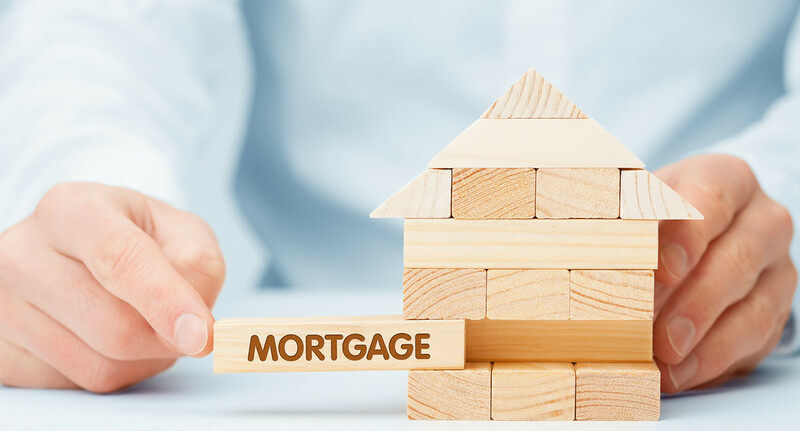 If you are having trouble making your mortgage payments each month, you might be exploring various options and looking for an answer to your problem – “ I can’t pay my mortgage what do I do?”. Most people do not plan on missing any of their mortgage payments, however, there are a number of unexpected situations that can happen to you such as; you cannot mange your debt load, divorce, loss of your job, illness or a short-term or permanent disability that may prevent you from working or any other unforeseen financial situations that may arise that impact your ability to make regular mortgage payments. If you are experiencing short term financial difficulties or long term financial difficulties due to any reason and struggling with your mortgage payments and as a result, missing your mortgage payments, foreclosure will be inevitable. There are alternatives to foreclose that are available to you when you act quickly at the first sign of financial difficulty. The key is to know what your options are as well as taking immediate action when the unanticipated happens. In order to help your mortgage professional as well as yourself fully understand your financial situation, prepare a detailed list of your financial obligations including any credit cards, loans, household bills with the amounts owing and their due dates. Be sure to include information about your current income, savings accounts, investments, and any other assets. The more information you have at your disposal on managing your finances, the easier it will be to make the right decisions. Take Charge of Your Debts is an online tool from the Government of Canada that is designed to help borrowers lunderstand debt problems and includes information on making a budget, budget counselling, collection agencies, credit, and credit repair. To view this tool, log on to www.ic.gc.ca (Industry Canada) and search for “Take Charge of Your Debts”. With early intervention, cooperation and a well executed plan, this can help you prevent foreclosure, will help you get your mortgage payments back on track and will help protect your credit from being damaged any further from previous mortgage payments that you have missed. 1) I “can’t pay my mortgage, what do I do?” Will my lender help me resolve my financial difficulties to get my payments back on track or will my lender just foreclose? In most situations, your lender doesn’t want to repossess (take back) your property. (A lender can be a bank, credit union, insurance company, private individual, or loan company.) Foreclosure can be a long and expensive process for your lender. They would rather have you get your payments back on track and keep paying them. But if you default and do not get your payments back on track after your lender has given you a second chance, your lender will take legal action to repossess or sell your property through foreclosure. 2) I “can’t pay my mortgage” How many mortgage payments can I miss before my lender starts the foreclosure process? When you default (don’t make a payment) on your mortgage, you don’t automatically lose your property. On default, your lender has the right to accelerate (speed up) your mortgage contract. This allows your lender to claim the full balance owed on your mortgage debt plus interest and other costs, even though the mortgage term hasn’t yet expired. Your lender can use the legal process of foreclosure to repossess (take back) your property or sell it to pay the mortgage debt. As soon as you miss a mortgage payment, most lenders act quickly. They often will either call you and/or send a reminder letter to you first in regards to your missed payment. If your lender doesn’t hear from you or if your lender does not receive your missed payment after that, the lender’s next step is to send you a demand letter. In BC, your lender or their lawyer must send you a demand letter before starting foreclosure proceedings. The exact requests in the demand letter depend on the wording in your mortgage and what your lender wants to do. If you don’t do what the demand letter asks, your lender can start foreclosure proceedings in court by filing a BC Supreme Court form called a petition. Your lender will serve you with (give you) a copy. 3) I “can’t pay my mortgage, what do I do?” What will happen if I do nothing? You may want to just ignore the demand letter from your lender, but be sure you know what the consequences are first. Doing nothing not only has serious consequences, this will also ruin your credit. The court may order your property to be sold. If the money from the sale doesn’t pay all of your mortgage debt, your lender will have an enforceable judgment (court order) made against you for the shortfall (remaining amount). Your lender can try to collect this from you for up to 10 years. You can pay off your whole mortgage with one lender by getting another mortgage from another lender (refinance). The new mortgage has to be big enough to pay the other mortgage plus any costs that you owe. You have to pay off the whole amount you borrowed plus daily interest and other costs. But first you should know what those costs might include. If you missed making some payments but think you can manage paying regular mortgage payments in the future, call your lender right away. Try to work out a way to reinstate your mortgage. This means you pay all of the outstanding mortgage amounts to bring the mortgage back into good standing. You also have to pay anything it costs your lender to collect from you, and may include legal fees. You can reinstate a mortgage if the mortgage term hasn’t expired and your lender agrees to reinstatement. Most lenders don’t want to own buildings. Lenders would rather have you keep the property and keep paying them. Contact one of our Mortgage Problem and Solution Professionals at GVCPS today to help you reinstate your mortgage and get your payments back on track to avoid foreclosure 604-812-3718 or info@gvcps.ca. High-interest debt from credit cards or loans makes it hard to manage your finances. But if you’re a homeowner, you can take advantage of your home’s equity. You may be eligible to combine the money you owe into a debt consolidation mortgage, home equity loan or line of credit. You reduce the legal costs and interest you have to pay if you sell your property as soon as possible. This option may be more attractive if you have equity in the property.